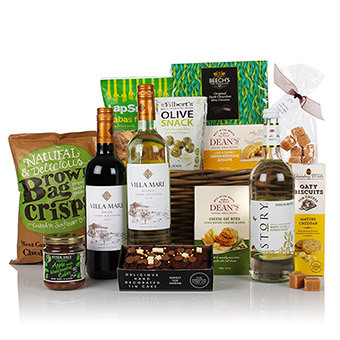 A winner of a hamper that combines sweet and savoury perfectly. Biscuits, crisps, chocolates and cake are all nestled inside this beautiful kubu basket just waiting to be enjoyed. A great choice for families or office teams.